Exclusive: A battle between Argentina and U.S. hedge funds, which gambled on the country’s defaulted bonds, is raising questions about how far U.S. courts can go in requiring governments to pay and whether developing nations can defy the U.S.-dominated financial system, reports Andrés Cala. On Wednesday morning, readers of major American newspapers, including the New York Times and Washington Post, were greeted by full-page ads decrying Argentina as “A Model of Unsoundness” and accusing President Cristina Kirchner of “disregard for U.S. courts and Argentina’s refusal to pay its debts.” The ad was sponsored by a group called American Task Force Argentina. If the broadside was perplexing to some readers, it’s because the referenced dispute relates to a complex legal case in which a group of U.S. hedge funds rejected a plan by which Argentina restructured its debt after its default in 2001, an arrangement that was accepted by 93 percent of Argentina’s creditors but not by the hedge funds that speculate in “distressed debt” and want a bigger payout. A central figure in the American Task Force Argentina is Elliott Associates LP, which owns NML Capital Ltd., the named plaintiff in the U.S. court case against Argentina, NML Capital Ltd. v. Argentina. 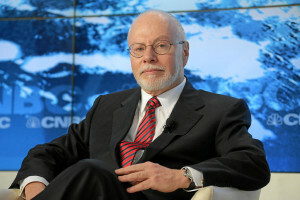 Elliott Associates and NML are controlled by Paul Singer, a hedge fund billionaire who specializes in snapping up distressed foreign debt at a discount and then pressuring governments to pay in full. In other words, the ads were part of a legal/political/PR strategy to extract a better settlement from Argentina for the 7 percent of creditors who are holding out. But the larger implications of this battle relate to the national sovereignty of all debtor nations, the power of U.S. courts to enforce payments of government bonds, and ultimately American hegemony over the global financial system. The legal fight also may force Argentina back into default because U.S. Appeals Court Judge Thomas Griesa ruled in 2012 that Argentina cannot pay the restructured debt holders without also paying the holdouts who are demanding full payment plus interest. After Argentina’s appeals of Griesa’s ruling failed, the judge forbade banks to transfer interest payments to holders of restructured bonds until the holdouts were paid about $1.5 billion. When payments were due on July 30 and the banks didn’t transfer the cash that Argentina had deposited as payment, Argentina technically defaulted for a second time in 13 years. The next payment is due on Sept. 30 and prompted more failed appeals of Griesa’s ruling, including one from Citibank, one of the banks holding Argentina’s frozen payments. Citibank fears its affiliates in Argentina could be nationalized as a result. Argentina has condemned the hedge-fund holdouts as vulture capitalists placing personal greed ahead of the welfare of both the Argentine people and the owners of the restructured debt. But the hedge funds and their allied American Task Force Argentina insist they are simply demanding responsible governance from President Kirchner and her administration. Whatever the merits of the arguments, Argentina’s fight with the U.S. hedge funds has now entered novel legal terrain. The story began when Argentina went bankrupt in 2001 and couldn’t honor payments for about $100 billion in long-term sovereign debt. Then, over the next decade, the country restructured its debt much like any bankrupted individual or business would, working out partial payment terms with creditors. Most creditors accepted Argentina’s offer to honor only about a third of the original loaned amount on the promise that the traded value of replacement bonds would increase once the country overcame its financial slump. And they did. But the hedge funds representing less than 7 percent of the original debt balked at the terms offered by Argentina and after years of litigation in U.S. courts, the hedge funds won an unprecedented court ruling from Judge Griesa compelling Argentina to pay all creditors or none at all. Initially, Argentina appealed the ruling but was rebuffed at every level of the U.S. courts, leaving it little alternative but to move into outright defiance with clever but untested financial mechanisms to sidestep the judicial power of the U.S. government. It would be the equivalent of a homeowner fighting a big bank over unjust mortgage terms and then rejecting the authority of courts and deciding to pay under different terms. For a citizen impossible, and for a country unprecedented, but Argentina decided that the U.S. system is unjust and that Argentina would lead the way in rewriting the rules. Buenos Aires launched a full-blown assault on the U.S.-dominated financial system, successfully dragging in the United Nations with the vital support of the world’s most powerful developing countries. At stake is not simply Argentina’s solvency, but sovereign-issued debt globally, past and future. How Argentina’s drama is resolved will redefine the workings of the global financial system. We are talking about trillions of dollars in emerging country debt that will be affected — and the U.S. possibly losing one of its critical advantages over the last century: being the clearinghouse of the global financial system with the U.S. dollar as the undisputable currency. Yet this high-stakes drama doesn’t have an agreed-upon headline with even the issue of whether Argentina defaulted in July in dispute. Credit agencies said Argentina did default but Argentina denied that it had, arguing that it had the money but that U.S. courts prevented the funds from being disbursed. In fact, Argentina did transfer on time the $539 million it owed as a semiannual payment of its restructured debt, thus complying with the economic terms, but Judge Griesa blocked the bank transfers and thus bondholders weren’t paid. Default or not, Argentina for now appears to be winning the war, at least as defined by the ultimate judge in all financial matters: the market. The market is demanding a higher interest to hold Argentina’s debt, but not too much more. In part that is because Argentina has been shut out of credit markets since its default in 2001. Investors also are looking forward to Argentina exploiting new oil and gas fields. Thus, Argentina’s defiance has so far had little economic impact on the South American nation, while accepting the U.S. ruling would again plunge it into bankruptcy. It is not that Argentina doesn’t have the $1.5 billion that the holdouts are demanding. It is that Argentina’s national laws forbid making the concession and even if legally possible such a capitulation would trigger an onslaught of new lawsuits and years of renegotiations to offer all bondholders the same terms, which would exceed the amount of its original 2001 default. What’s more, this summer, Argentina passed legislation to use its own banks or French ones or other alternatives that its creditors might propose as long as the revamped payment process sidesteps U.S. jurisdiction. Argentina’s debt drama also underscores broader pressures to revamp the rules governing the financial system as it was written by the United States after World War II. At the United Nations, Argentina won robust support in a non-binding vote in favor of rewriting the global financial rules, although Western countries voted against. There are also efforts to strengthen alternatives to Western institutions, like the International Monetary Fund and the World Bank, with the anticipation that the global financial system will have to make room for new currencies that rival the dollar. The pace and scope of this process will depend on the ability of rising economic powers — Brazil, Russia, India, China and South Africa, the so-called BRICS — to offer viable alternatives. But doing so requires significantly more cohesion from non-Western countries, which so far has been elusive although that might be changing. BRICS economies and their international reserves rival those of the West, but they have little say in U.S.-controlled institutions, with their voting rights disproportionately diluted. On top of that, the United States has not ratified reforms to the voting structure. With the West clearly intent on limiting BRICS’ influence in world finances, the newcomers especially China and Russia are finally taking concrete steps to balance the power. Recently, BRICS created what could grow into an alternative to the IMF and World Bank, a new development bank that will start lending in 2016. It is capitalized with a $100 billion, half of it as upfront cash equally shared by the five BRICS, the remaining as guarantees. Its lending power will be a fraction of its Western rivals, but if successful it could expand in the years ahead. Though Argentina’s challenge to the U.S.-dominated financial system may be historic, the country will still pay a high price for its defiance. Even if its stock and bond markets have been spared by investors, it still needs lots of cash which will have to come from BRICS-led emerging countries and private investors mostly led by U.S. corporations. The key to Argentina’s strategy is its vast oil and gas potential, which it hopes will attract the necessary private investment and bilateral foreign credit to survive without Western credit. In effect, Argentina wants the investment standing that resource-rich countries like Venezuela have, regardless of who’s in power. Highly profitable oil and gas reserves are in the process of development and will allow Argentina to underwrite its debts and to access fresh capital backed by its production. Chevron is the main player spearheading the development of these resources, but Chinese, European and Latin American companies are lining up, which will diminish Argentina’s foreign exposure down the line. Whether it will be enough and timely enough remains uncertain. It could well be that maverick Argentina ends up losing this war of attrition and surely as the full-page ads suggest its international image may be badly bruised in the process. But Argentina will go down in history as the country that first stood up to America’s most powerful weapon, its control over global finances, a battle that may catalyze the end of an era for U.S. financial hegemony. Go for it Argentina! If you need advice, get it from Iceland to see how they beat the Global Corporate Elite Sociopaths. Our financial-ized capitalists on Wall Street (and their US government sycophants) are still trying to make money from money or rather in this case, making money from speculation instead of making it by selling finished products. “As rich as an Argentine” still holds true today because they are selling stuff, you know, finished products like consumer goods to the Brazilians and to the tune of eight billion dollars per year! The big ol’ American bear has been aimlessly roaming about in already marked and spoken for territory. Mr. US Bear, now there’s a twist, has picked up the scent of a bacon fry and has every intention to steal rather than earn on his own. Well, the strategy or instinct fits because another symbolic figure pops into mind, it’s in the nature of the bald eagle to wait for some cleaver and hard working hunter to do all the work and then the eagle proceeds to steal that meal. Folks, we can’t just chuck it all in the hopes that 3-D printers will fix the problem or worse, we start bombing our close relatives south of the border. To put it another way, the BRIC’s and PIIGS nations will never hire us or allow the US to be the world’s policeman. The means of production, thank you Mr Marx, must return stateside and if it can’t, then we better be supreme diplomats and nice guys or most Americans will become pan handlers just to make ends meet. Cala is much too kind. Giesa has a reputation for this type of sleaze, Vulture Singer also (and his full story is available in Greg Palast’s wonderful book “Vultures’ Picnic”. Even Gearge W Bush rejected a former demand similar to this by Paul Singer, even though it went against the Republican Party, and Obama has means to stop this in its tracks, but (surprise surprise) refuses to do so. Singer has ruined several African countries by these means, and has no moral standing of any kind. The Chinese just lent $600 million US to the Argentinians at very attractive rates. Argentina will be fine, the US will lose in the world court so the taxpayers will foot the bill, and NYC will no longer be the place where nations issue debt. Good job Mr. Elliott. Why no mention of George Soros ? I understand he had a recent meeting with “Argentinian” debtors ? You get your news from LaRouche? Argentina is a prosperous country suffering from in depth corruption that brings this great nation down. Hedge funds prey on them. The same as vultures do, however, Argentina is alive and fighting back and they deserve all the support from other nations that have been and are strangled by mafia bankers. The same happened to Greece and Portugal, these American robbers should be stopped. Paul Singer is the repulsive face of this type of greed and with the backing of their paid for politicians things are only going to get worse as time goes by. I hope that Argentina continues to stand up to this kind of thuggery. Go Argentina. Wall St banks and DC operating as partners in crime are much worse , no morals , than you. You have the high road.